Ray Dalio’s All-Weather Portfolio is very similar to Harry Browne’s Permanent Portfolio. I am not sure who came up with this concept first. I guess it doesn’t matter. Bridgewater (Ray’s Fund Management company) wrote about the story of All-Weather Portfolio and it is available here. If you are lazy to read the entire article, I have extracted the important points which apply to both All-Weather and Permanent Portfolio. In other words, cash returns is the interest earned from bank savings account and fixed deposits. Beta returns are asset class returns. For example, long term returns of a basket of stocks, or long term returns of government bonds. STI ETF returns is considered beta returns. 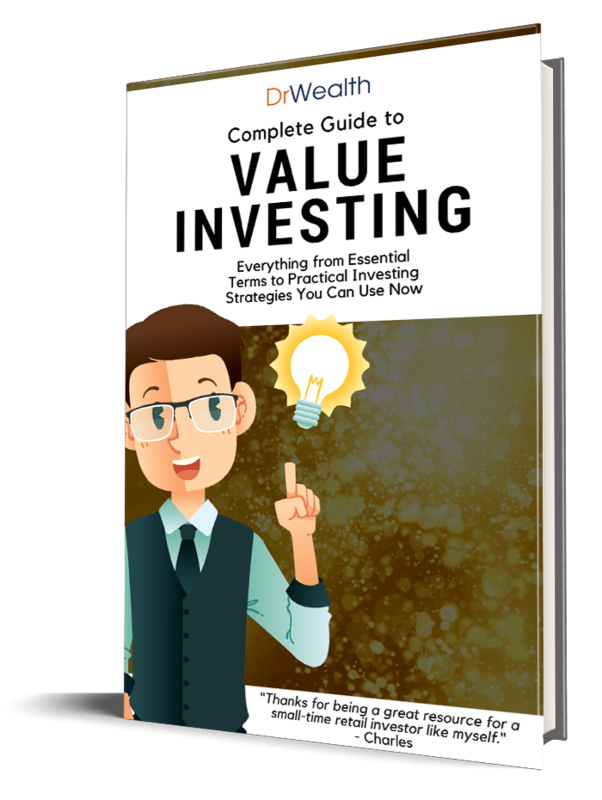 Alpha is where the investor value add in terms of returns above beta, through stock selection or market timing. For example, STI ETF returns is 8% and if the fund’s portfolio returns is 10%, the fund is said to be generating alpha. Betas are indeed sure thing to outperform cash in terms of returns. The caveat is that the investor is able to stomach the volatility, overcome greed and fear, and stay invested to achieve beta returns. For example, STI ETF is sure to beat your fixed deposit returns. However, the STI ETF is not crash-proof. You can have huge paper losses when the stock market crashes. And if one sells during the lows, it is not possible to achieve the long term returns of STI ETF. Most investors are overconfident with their ability to pick stocks and time the market. Chasing alpha is a very difficult game and most end up performing below beta returns. Doing more but achieving less. Hence, the advice is if you have no interest or the skills to beat the market, stick with index funds and be happy with beta returns. People always focus on bond yields when I talked about Permanent Portfolio. They entirely missed the concept and the role of bonds in the portfolio. As mentioned by Bridgewater, equities need an asset class that can provide an equal in magnitude price move in the opposite direction. Only long term bonds have this characteristic, whereby the rise in bond price during a stock market crash can help to cushion part, if not all, of the losses in stocks. 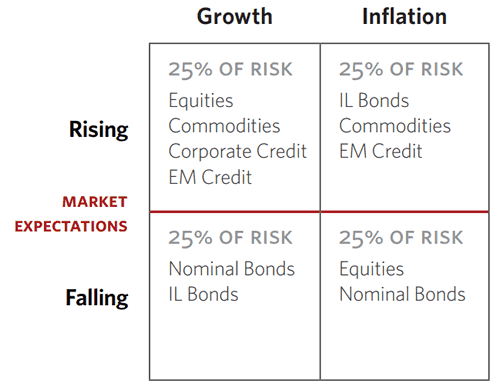 Stocks and bonds are not sufficient as inflationary condition would hurt both stocks and bonds. Hence, Bridgewater added the inflation-linked bonds to their portfolio, whereby the bonds returns will equal the inflation rate. Permanent Portfolio is different in this aspect. Instead of inflation-linked bonds, Permanent Portfolio adopts gold to exploit gains in an inflationary environment. I prefer gold because the volatility is higher than inflation-linked bonds, and owning gold means less exposure to government securities (All-weather Portfolio can have 50% of the portfolio tied to government bonds – 25% long term bonds + 25% inflation-linked bonds). The future is always unknown and full of surprises. An All-weather Portfolio or a Permanent Portfolio is well-constructed to help you weather through tough times while most people are not protected financially. Most investors join in parties too late. We saw how gold crashed from US$1,800 lately. It will happen to stocks, bonds, or whatever one day. Prepare for the worst and do not let greed lure you the wrong way. I hate to be asked where is the market going because I do not know. It is irresponsible to tell people that they end up losing money. If you would ask me for advice, I will always begin with STI ETF and Permanent Portfolio. Very good presentation this morning! Love your advice. If one were to implement the all-weather portfolio in sg, is the IL bond available in the local market ? Thanks once again for another crisp article expounding on Bridgewater’s all weather portfolio. Bridgewater is one of the most prolific macro hedge funds out there. Besides its all weather portfolio approach, let me add an important ingredient which is their ‘principles’ to investing. ‘Principles’ is a guide written by Ray Dalio and in there, he touched on how “principle’ works at individual and organisational level. This is not some new discovery. In fact its so intuitively straight forward. ‘Principles’ is a very good read. It can be applied to anything, not just investing. Its like a map for readers to draw the topography of their thought process. Again, its to guide your thought process. Various camps will argue about the credence of fundamental, technical or behavioral approach to investing. Each has its own validity. However, few really sit down to deeply search and examine their individual thought process. Thought process is what drives your methodology (fundamental/technical etc). Think of it like a fuel that drives an engine. If your fuel is contaminated, lets say there’s debris or water mixed in, the result will be an inferior performance by the engine, no matter what engine you use. Thus it’s really important for investors to constantly examine and reexamine their investment actions and then work back their thought process that brought about those decisions. This will help investors to be a better thinker than sheer follower. It gives clarity and it perpetuates learning. It exposes biases, prejudices, motivation, bad habits, self inhibiting tendencies. It purges the mind and the soul to what’s true and objective. The net effect will be , investors will make less mistakes. The main idea is to make the least mistake as you can instead of trying to score as many goals as you can. That in investing is 2/3 of the game. Just like badminton, most of the points earned is through mistakes done by the opponents. You will notice than professional badminton players hardly smashes. Most of the time, they defend. In summary, we are all aware of the term ‘garbage in garbage out’. Examining thought process will prevent garbage from interfering in our investment or trading approach thus deliver maximum result. The ‘Principles’ is a guide. Always enjoy reading your insights! How could somebody build an All Weather portfolio based in Singapore? The all weather portfolio is quite difficult for individuals to set it up. Alternatively, the permanent portfolio is a similar concept and can be implemented with ETFs.